On average 60-80% of website visitors leave in the first 10 seconds. Your landing page template needs to grab their attention and compel them to stay. 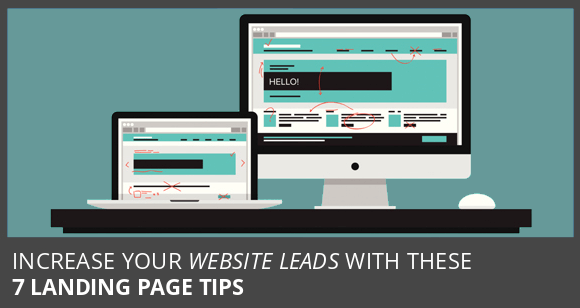 Apply these 7 tips to create a landing page that sells. On average 60 – 80% of website visitors leave in under 10 seconds. The headline is the first thing your prospect reads when they open your website. It needs to grab their attention and compel them to continue reading. Waste the headline with a pointless “welcome to my website” statement. Use play on words or slogans that offer no customer advantage or appeal to their desired end result. Include your strongest benefit, unique selling advantage, or special offer. Make the headline clearly visible without having to scroll down the page. Cart abandonment is a big problem for ecommerce businesses. In some cases as many as 80% who start the buying funnel do not finish. Whether you have an ecommerce part to your business or not, you can still increase leads and sales by simplifying the user experience. Have long, intimidating contact forms with unnecessary form fields. Use as few form fields as possible in order to capture the lead and start the dialogue with your customer. Good design should compliment and enhance your marketing message. In western society we read from left to right and from top to bottom. Positioning key elements on the right hand side will get noticed more easily, and compliment the natural eye gravity of the page. Position important call-to-action elements in a left sidebar column. Use images with people looking at, or pointing towards call-to-action boxes. Use obvious and subtle arrows pointing towards, and drawing attention at call-to-action boxes. Position call-to-action elements in the right sidebar column. Your landing page should contain all the information your prospect needs in order to take action. That being the case, navigation links will only distract your prospect and take them away from the key sales message. Have lots of navigation links that take your prospect away from the key sales message. Make your landing page a stand-alone sales message and give it everything it needs to get the prospect to take action. Note: Some ad networks (like Google) like to see at least a few links to other on your website. This isn’t so much a problem for brick and mortar businesses as it is online retailers. However, if you’re a new advertiser we recommend starting with a few navigation links on your landing pages. Then you can remove them after you’ve accrued some campaign history. “The Fold” is a term that originates from print advertising. Online it refers to the visible page without having to scroll. Most of your website visitors will not scroll down the page. If you have a free offer, or other compelling reason to act now, then make it clearly visible without having to scroll. Bury your offers and response devices. Make it clear what action you want your prospect to take, and make it visible without having to scroll down the page. Your landing page will perform best when the ad and landing page have a congruent theme and offer. Make statements, offers or claims that aren’t backup on the landing page. Closely (if not exactly) match the theme of the ad on the landing page. Test headlines in text ads, then transfer the winning headlines to your landing pages. Call-to-action buttons are the last thing your prospect will see before they take action. You should make them attractive, and use text that encourages action. Use button colours that blend naturally with the design of the page. Use arbitrary words like “Submit” or “Send” as button text. Use contrasting button colours that get attention. Use benefit button text that speaks to the desired end result of your prospect.